The Economic and Organised Crime Office. (EOCO), has assured customers of troubled gold dealership firm, Menzgold Ghana Limited, that the properties seized are well secured. EOCO’s Deputy Director, Daniel Antwi revealed that his outfit has taken steps to ensure the preservation of the properties in question. 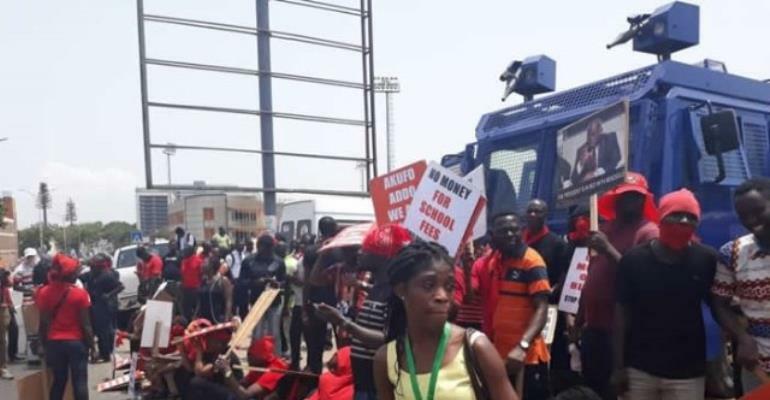 The assurance comes after the customers on Tuesday picketed in front of EOCO’s premises to demand the liquidation of the seized assets of the company. Addressing the customers after meeting its leadership, Mr Antwi called for calm among the agitated customers as it works to resolve their plight. The customers who are not happy over the silence of EOCO on the seized properties wants the state agency to appoint a liquidator to oversee the equitable payment of their investments. Spokesperson of the group, Godfred Ankomah said, “So far, the way EOCO has handled the whole issue is a bit sluggish and lackadaisical in approach. It took customers to picket before we started getting information, it shouldn’t be so. It is almost a year since this thing happens and till now, there is no way forward. The seizure of the assets happened long ago, yet no one is giving us any information. They should disclose all information because people are dying. The court order for the freezing of properties and assets of Menzgold Ghana Limited includes that of associated companies affiliated to the embattled Menzgold CEO, Nana Appiah Mensah. The associated companies which are stated in the news release are 7 in number, and they include; Menzgold Office Complex, Zylofon Art Complex, Brew Marketing Consult, Star Madrid Football Club, Zylofon Music and media company, Brew Energy Company Limited, G- Tech automobile service. EOCO also listed two properties located at Trassaco Valley [Plot no. 315 and plot no. 337], as well as a plot of land near Oak Street at Trassaco Valley, and an uncompleted residence and a 510 acre of land. The press release also called on all employees of the affected companies, relatives and friends of the Menzgold CEO who have in their possession any of the named properties to surrender all such assets to EOCO in their own interest. EOCO has also entreated the general public to assist in the investigation process by providing adequate information to facilitate the retrieval of all vehicles and other properties belonging to any of the companies mentioned. Hundreds of Ghanaians are unable to retrieve their investments in Menzgold, and some have gone to court to seek redress against the embattled Chief Executive Officer (CEO) of the company who is currently facing a misdemeanour charge in Dubai. The CID boss, Maame Tiwaa Addo-Danquah said until the case in Dubai ends, the Ghana police service cannot get hold of Nana Appiah Mensah. A lot of Ghanaians have called for government’s intervention in dealing with Menzgold’s founder who has failed to pay back monies to his customers.